The source of the lowest price in the world for best double edge blades! With great regret, we would like to inform you that the rumors about End of production of Polsilver Super Iridium is true. Our information is that they are not in production as of mid-September. To be able to keep PSI blades in the market as long as possible, we will stop wholesales and prices will be gradually increased over time. The Polsilver SI's are one of the few blades I can get away with shaving with only water (no shave cream/soap - soak face with cold water and shave, add cold water to face between passes). The PSI is a great blade. Maybe not as sharp as a Feathers but smoother for sure. Smooth enough so that I can shave quickly without blood letting. Razor burn is a problem for me with the Feathers but much less so with the PSI! Polsilver SIs were my first 100 blade buy, very smooth and sharp for me. I now have 400 of the Polisilver SI's. I am finding that they work better in some razors for me and in others not so well. They are extremely sharp, but they do have a smooth quality to them. I have consistently been getting 4-5 shaves out of the SI's, and I think I could get more shaves, but I've been switching between razors so much I haven't had a chance to stick with one razor and one blade very much. Very sharp and smoothest blade I have used to date. Some say price is too high. In my opinion it is not for a quality blade. 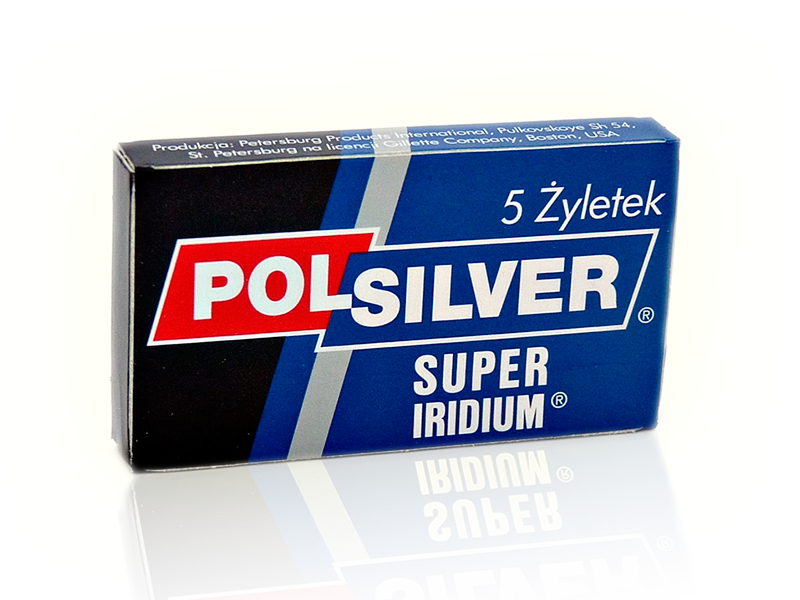 Polsilver Super Iridium are very good. They are in the sharp blade category. They shave very well almost the twin of GSB blades. They are sharper than Astra SP in my opinion. They are not as sharp as Feather blades and just a little sharper than GSB in my opinion. And at 10 shaves they become very "buttery" feeling on the face. They shave well into the twenty's for me and would likely go longer. I tend to change somewhere in the 20-30 shave range. Polsilver Super Iridium is a great blade that cost a bit more than others but is worth the premium in my experience.